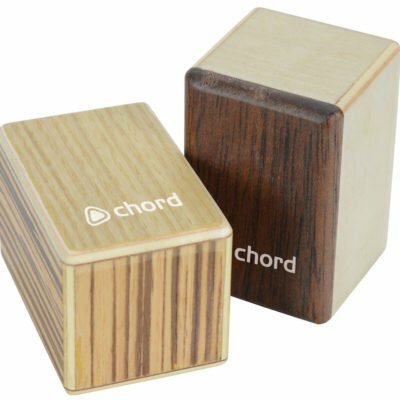 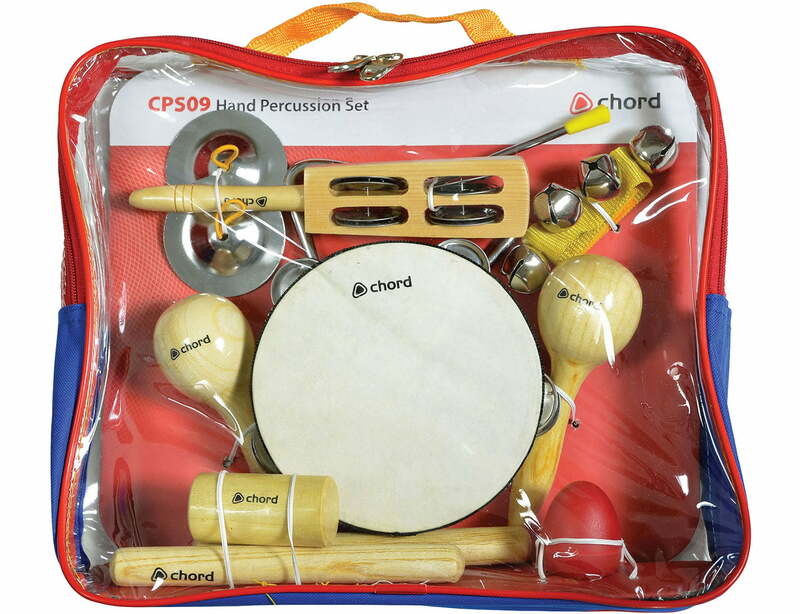 The Hand Percussion Set by Chord is a set of 9 different percussion instruments. 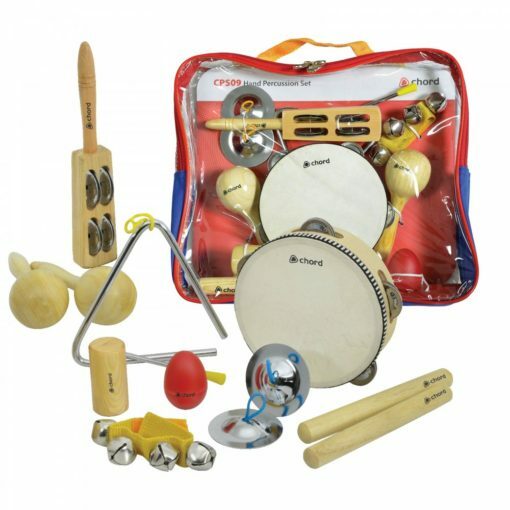 It is a great starter kit for anyone who wants to make a variety of rhythmic sounds. 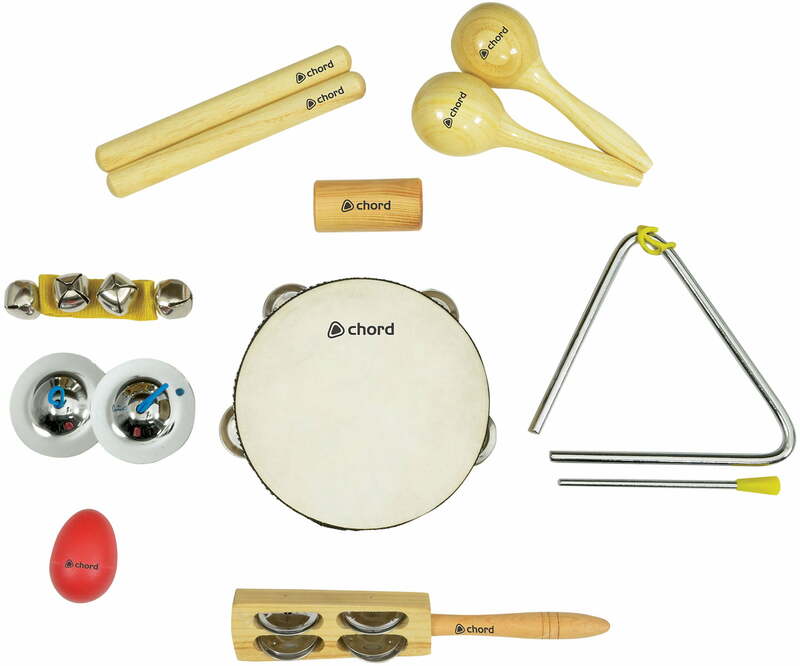 The set includes a headed tambourine, a pair of wooden maracas, a wooden shaker, an egg shaker, a pair of wooden claves, a jingle band, a jingle stick, a pair of finger cymbals and a triangle.